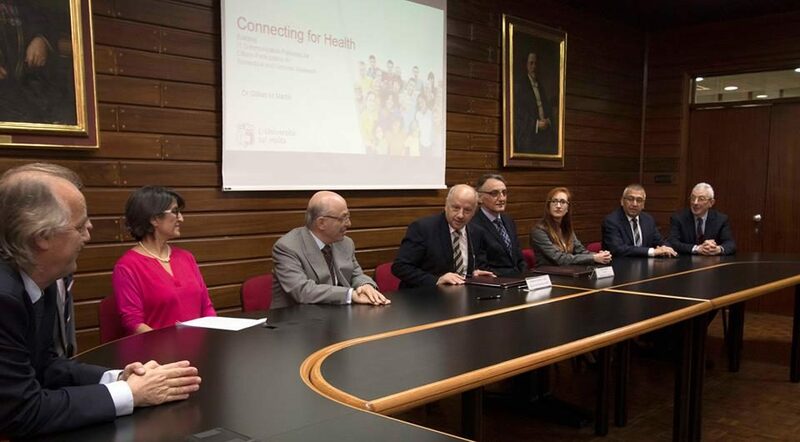 The Vodafone Malta Foundation and the University of Malta have signed an agreement to facilitate cutting-edge research that explores the causes and treatments for diseases such as diabetes, asthma, thalassaemia, and ALS. The €100,000 project will see the development of a specialised interactive web portal and mobile app which will encourage and facilitate people’s participation in the biobank and act as a link between the general public, researchers and patients. The funding will be made available through the Research Trust (RIDT) of the University of Malta. The research will be carried out at the Centre for Molecular Medicine and Biobanking of the University. The online portal will enhance the relationship between the researchers and the participants by providing an IT interface where they can communicate online. This will host informative video clips describing in detail the ways individuals may actively contribute to the cutting-edge research at the Centre. The portal will also make it possible to use sophisticated and flexible means of giving permission for the use of samples, where the participant remains in contact with the researchers at the biobank and is re-contacted and updated when necessary, according to their preferences. It will also allow participants to track use of their samples and be provided with information and updates about the research projects their samples are involved in. Up to 20,000 people in Malta alone could benefit from the work undertaken by the Centre, while the model, if successful, could inform best practice in Biobank governance and genetic research programmes across the globe.